Sell your business with Australia's Award-Winning Business Brokerage. Search hundreds of businesses you can't find anywhere else. 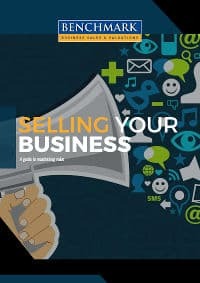 Our e-books packed with tips and recommendations to help you buy or sell a business. 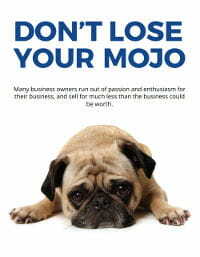 Many business owners run out of passion and enthusiasm for their business, and sell for much less. What is the benefit of dealing through a Business Broker ? A business broker removes the emotion and anxiety from the sale process. An experienced business broker will help you develop a “sale plan” and will assist in executing that plan. Benchmark’s specialist business brokers are leaders in their ﬁeld, helping clients with businesses for sale, and those who are looking at buying a business. Our team includes some of Australia’s most experienced, and awarded, business brokers. Within the Benchmark group we pride ourselves on the ability to achieve settlement within 90 days for our clients. All Benchmark business brokers actively participate in industry training and professional development programs, ensuring that they keep abreast of the latest developments and legal requirements. What is your commission ? Benchmark Business Brokers only get paid when the transaction is completed. This is a success fee. The fee will vary depending upon the type and value of the transaction. We really need to understand what the sale process looks like to be able to quote a fee. How long, on average, does it take to sell a business ? Within the Benchmark group, we pride ourselves on the ability to achieve settlement within 90 days for our clients. Of course, this varies from case to case, but if four variables are all correct, most businesses should sell in 90 days. If you have a business to sell, or you would like to know what your business value is, please call us for a free chat, to discuss your options. 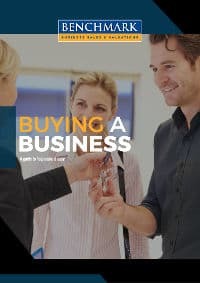 I can't find the right Business For Sale - what do I do ? We love helping people to ﬁnd the right business. Often the best starting point is to try and (accurately) deﬁne what you really want, what you can aﬀord, and what is the best long term “ﬁt” for you. Once that is established the process becomes much easier. I haven't purchased a business before - can you still help me? We have helped hundreds (maybe thousands) of people to buy a business for the ﬁrst time. Over the years we have developed many hints, tips and guides that can assist ﬁrst time business buyers. For example, we have a free ebook called “12 Tips for Buying A Business” which is a great starting point for ﬁrst time buyers. Click the button below to access this powerful ebook. I have never had a Business For Sale – what guidance can you provide me? One of the keys to s successful business sale is planning ahead. We have assisted thousands of business owners to value their small business, and to sell a business. For ﬁrst time sellers we have a free book called “12 Tips for Selling A Business” which is a great starting point for ﬁrst time sellers. What states do you sell business in ? We have Businesses For Sale Australia wide. Click on a link below to search for a business for sale in a speciﬁc state.